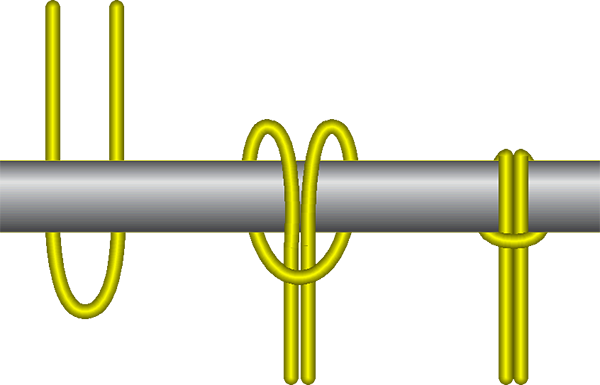 A girth hitch is a fast way to connect a loop of rope (or webbing) to another object. Girth hitches are commonly used to connect a runner of webbing to a pole or tree. 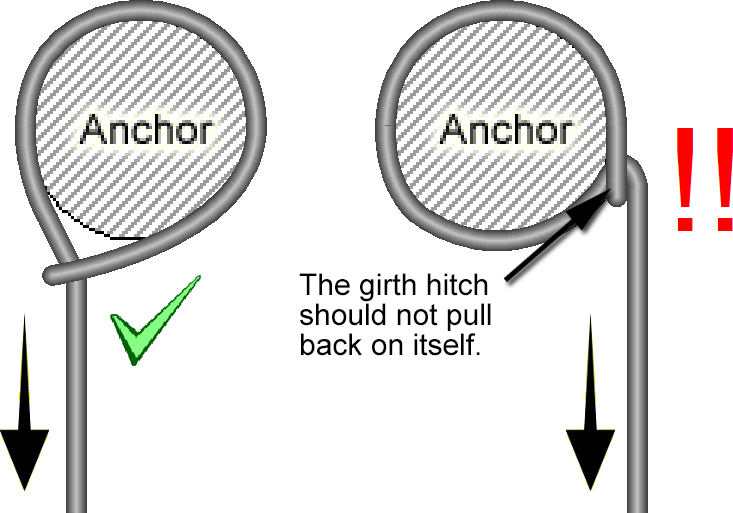 See the discussion in the girth hitch example anchor for a reminder to not have the girth hitch "pull back" on itself. You can also tie a girth hitch by slipping it onto the end of an object.